Engagement of team members is a critical factor to producing great bottom line results. One way to engage them is to find their “Hot Buttons”, the individual motivating factors that drive them and then manage them in line with these factors. Managing them towards their goals and dreams whilst taking into account their hot buttons builds respect and trust. Another thing you should do is to have an Expectations Meeting where the team comes up with operating standards and rewards & consequences. Setting expectations is an amazing thing, you generally get the expectations you set. This is replicated in classrooms. In a 1960s study, which has been replicated many times since, researchers gave an IQ test to school students at the beginning of the year. They then randomly selected 25 of these students and told the teachers that these students were extraordinarily gifted and were expected to excel. When the students were retested six months later, those who were labelled as intelligent showed a dramatic increase in their performance compared to their peers – even though many of them they weren’t very bright to begin with. This shows the influence that expectations have on performance. Whenever you form an expectation of a team member, you begin to act differently without realising it. This altered behaviour signifies your expectation, and when repeated consistently, the team members behaviour eventually meets that expectation. Intention: This is what’s outlined above. Be careful that you don’t let your biases cloud your judgement. Have high expectations of everyone or, at the very least, do so initially. Involvement: Include your team members in consultative discussions prior to setting your expectations to get their buy-in early and to give you beneficial feedback before it’s too late. Clarity: Once the expectations have been set, they need to be specifically articulated. The clearer they are in your teams minds, the higher then are the chances they’ll be met. I suggest, with your team, creating a “Game Plan” to guide them to achieving the goals. Language: The words you use when setting expectations have more power than you imagine. There’s a big difference between “I want you to” and “I believe you can” Never use “You Must or You Will”. Linking: For the expectations to be embraced and owned by your team, find some way to connect these expectations to their ambitions, key drivers, and values. This type of focus will create engaged team members. 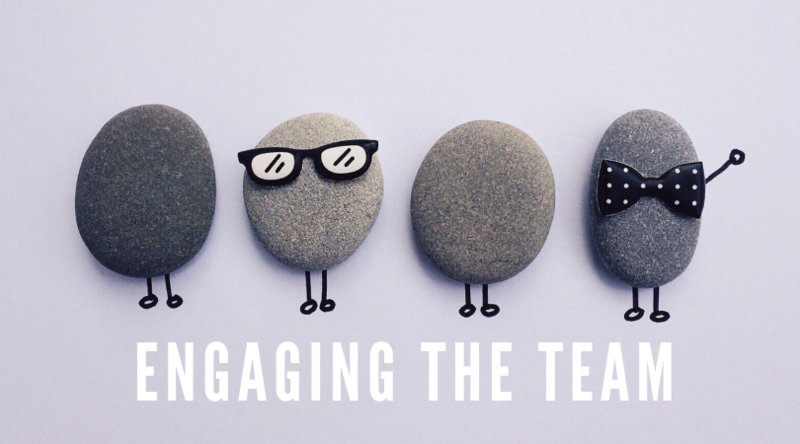 How engaged are your team?? Yes there has been a lot of similar articles on Team Engagement, I believe leaders with an intent focus on team engagement can dramatically lift their teams morale, motivation and results. My book on engagement “The People Pill” gives simple hints and tips to lift team and customer engagement.